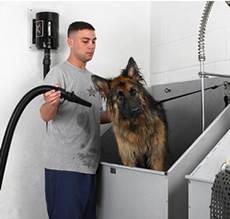 Air Force Commander Is the World's Best-Selling Pet Dryer! 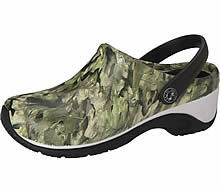 Powerful Air Force Commander Dryers are lightweight and portable for shop or mobile use. 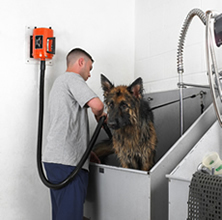 Use a warm stream of air to effectively blow water from the dog's coat to cut drying time in half. 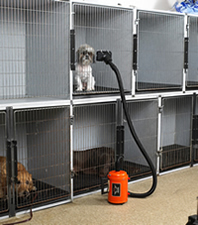 The two-speed Commander Dryer allows you to control the airflow by flipping a switch low or high. Also available in variable speed which allows you to control airflow by turning the dial from 0% to 100%. Dual mounting legs offer stability on surfaces. Built to last! 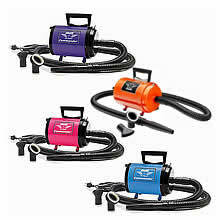 Hoses for all metro dryers are now black. - Measurements: 12" X 7" X 7"
2 handle holders, 2-1/2" X 3" cage attachment with "S" hooks.